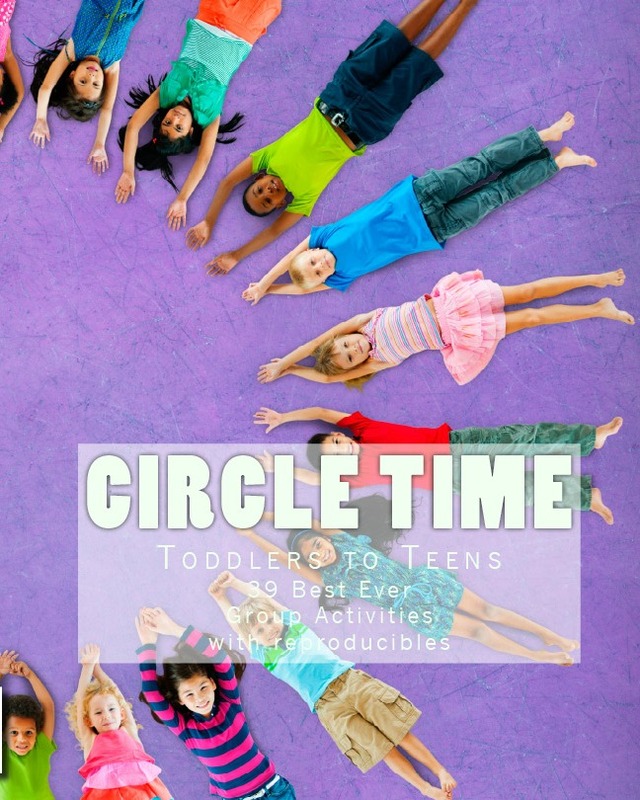 What can you do for St. Patrick's Day with kids? 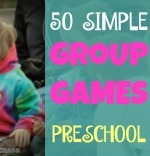 Make some Saint Patrick's Day crafts and have a parade. 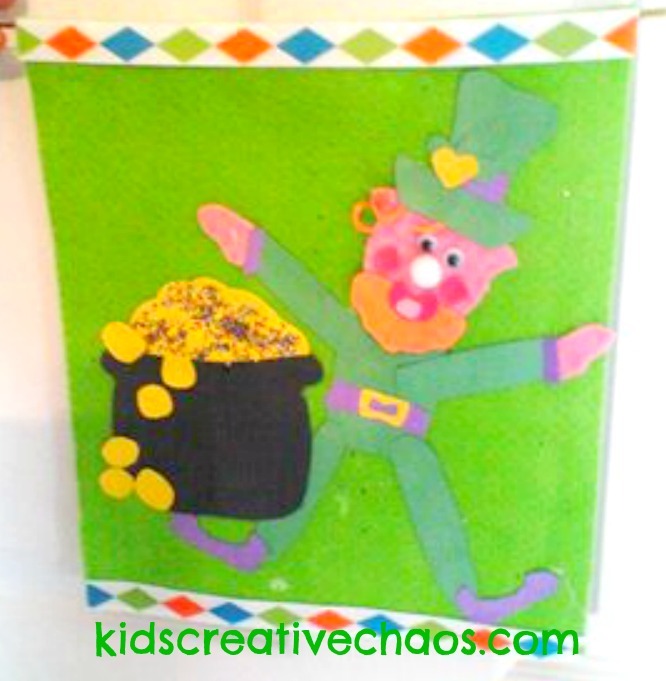 This banner is an easy leprechaun craft for St. Patrick Day. Enjoy! Felt and Construction Paper Banner Leprechaun Craft. 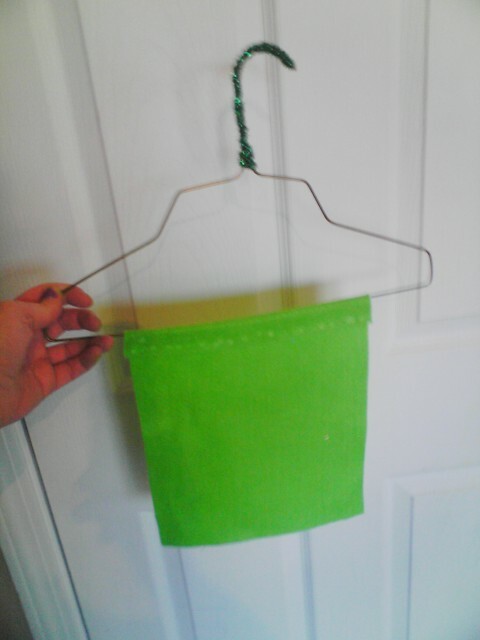 Make a St. Patrick's Day theme mobile for your room, or put it on a stick and carry it in a parade around town! These fun st. patrick's day ideas are easy to make with tacky glue, paper, fabric scraps, and an old wire hanger. 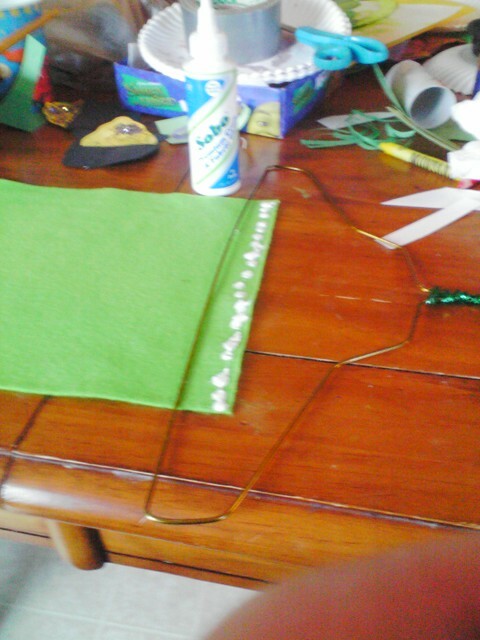 Glue the felt over a hanger. We took a sparkly, green pipe-cleaner and wrapped the hook end of the hanger. Then, we draped a piece of green felt over the base and glued it with tacky glue. 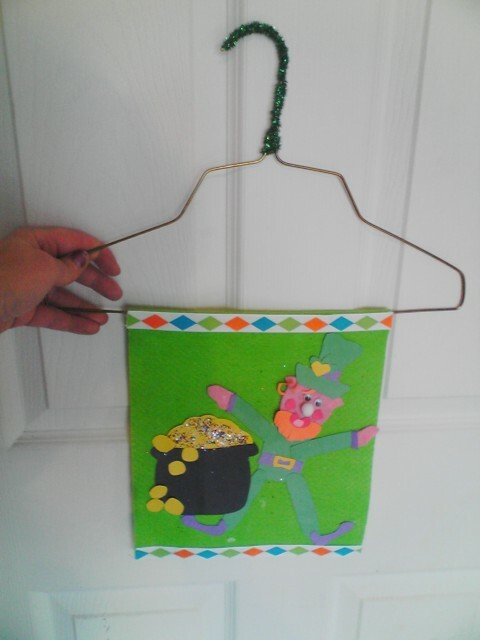 Next, we cut out shapes from scraps of construction paper and made a leprechaun with a pot of gold. Use tacky glue or a glue stick. Other St. Patrick's Day themes would be a rainbow, a snake, or a simple shamrock. Whatever you choose have fun! St. Patrick's Day Parade Banner Craft and Fun Leprechaun Ideas. Great St. Patty's Day crafts! Hello! 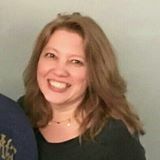 I'm your newest follower & fellow Hoosier bloggy mom! Looking forward to reading more of your blog!